TorontoVerve. 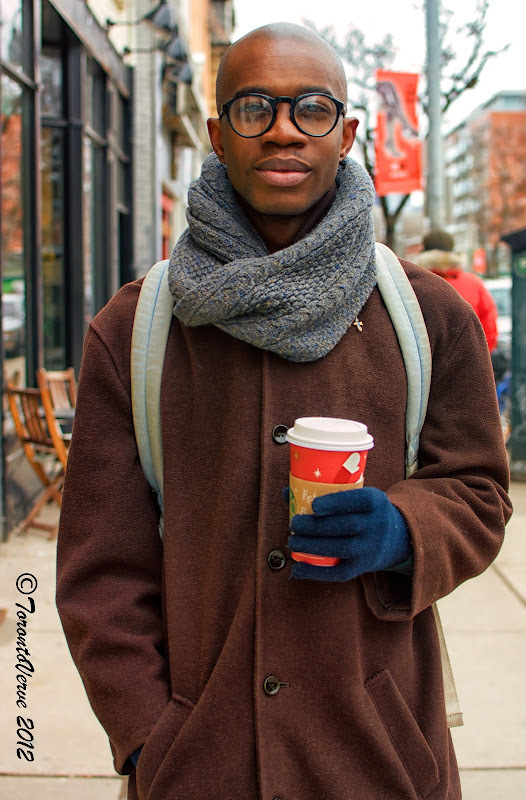 :: Jonathan: "Preppy But Edgy"
Jonathan's street style previously appeared on TorontoVerve nearly two years ago in Kensington Market. 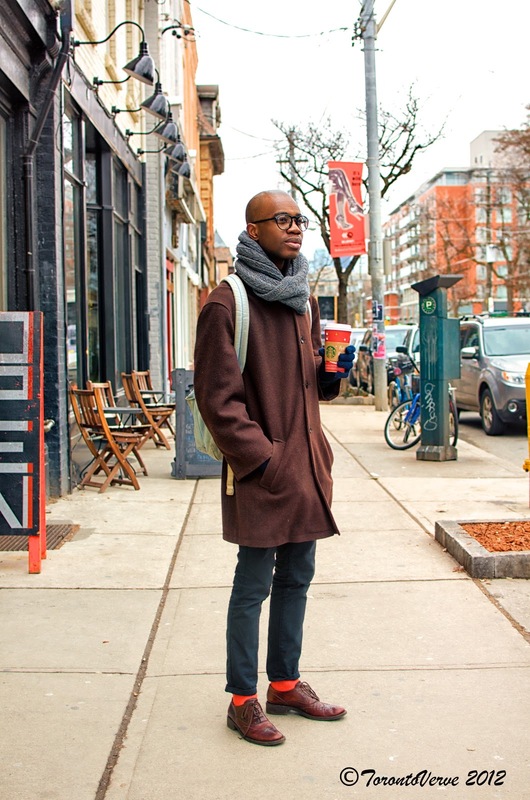 I love the colour combo of his coat, socks & shoes. He's cute.